Some kids in our area aren't doing much to get ready for their first day of school. Students who go to cyber school don't need to pack their backpacks, or catch the bus in the morning. It's the first day of ninth grade for Jacob Sachleben of Girardville. But he doesn't have to leave the house. He attends Pennsylvania Virtual Charter School -- online. 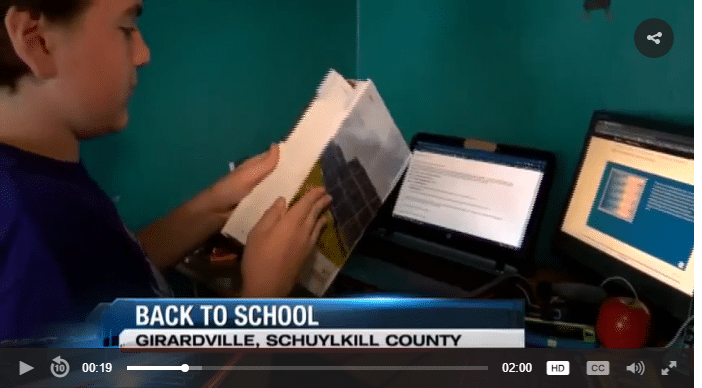 The school sends students the curriculum, books, a laptop, and a printer with ink. "Just open the boxes and put it on his desk and he's ready for school!" His mom says, when Jacob was younger, he was a gifted student -- and she felt he wasn't being challenged enough in a traditional school setting. So she signed him up for cyber school.